The Pakistani rupee tumbled about 5 per cent on Monday, following what market analysts said was the central bank’s fourth devaluation since December and part of efforts to avert a balance of payments crisis in the run-up to July 25 elections. The currency was trading at around 127.75/128 per dollar at 3 pm Pakistan time (1000 GMT) after closing at 121.5 per dollar on Friday. The central bank declined to say whether it had devalued the currency. One market analyst said it looked like the central bank was “prepared” to devalue and suggested the exchange rate around 128 is “here to stay for now”. The currency’s sharp fall on Monday comes two days after the central bank hiked interest by 100 basis point, the biggest increase in a decade. The increase was made at a time of growing speculation that the incoming government will be forced to seek a bailout from the International Monetary Fund (IMF). Traders say the SBP effectively devalues the currency by withdrawing support in the thinly-traded foreign-exchange market. The central bank, the most influential player in the market, controls what is widely considered a managed float system. The SBP last devalued the rupee by about 4 per cent in June, after weakening the currency by about 10 per cent during interventions in December and March. Pakistan’s economic fundamentals have deteriorated, with the current account balance widening sharply while foreign currency reserves have plummeted over the past few years. When there was a near-identical economic situation in 2013, Islamabad obtained a $6.7 billion bailout from the IMF. 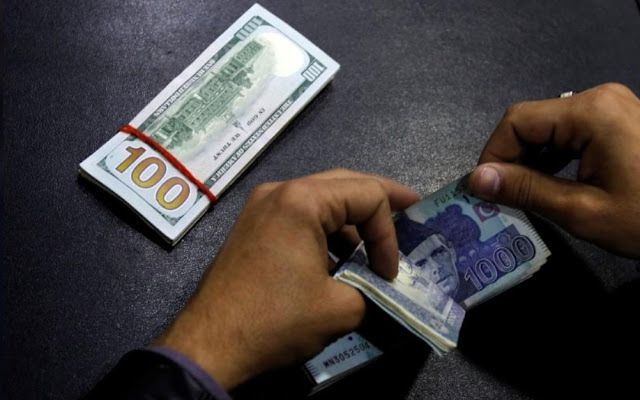 “The large current account deficit is not sustainable given low foreign exchange reserves,” said Saad Hashmey, chief economist and director of research at brokerage Topline Securities. Effectively devaluing the rupee “is to help reduce” the deficit, he added. Pakistan has been relying on Chinese loans to boost foreign exchange reserves, which reached $9.48 billion last week, compared with $16.4 billion in May 2017. Suleman Maniya, head of research at local brokerage Shajar Capital, said the central bank is trying to curb imports and will keep doing so for months. In a research note, financial services firm Exotix said an “IMF deal is inevitable regardless of who wins the election”, but there is a risk that it will not be finalised until the fourth quarter of 2018. “In the interim, FX reserves will likely remain low enough to make the FX rate very vulnerable,” Exotix said.